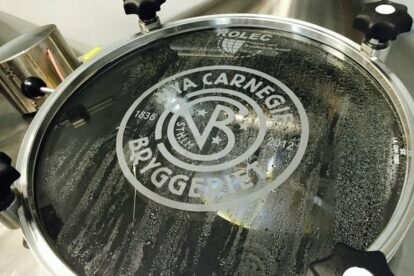 Recently opened Nya Carnegiebryggeriet is reachable by a short, free ferry ride from the neighborhood Södermalm in Stockholm. The brewery is located inside an old light bulb factory and offers guided tours giving an insight into the brewing process. Naturally you’ll want to sample some of the brews after the visit in the adjoining bar and restaurant, offering a small selection of good food to go with the beer. On my last visit, I tried several of the craft beers served on tap and liked them all. If you are into beer, this is a great place to ask the brewers questions. They obviously love their work and are delighted to share their experience going into details, if you are interested. Hammarby Sjöstad, where the brewery is located, is worth walking around as well. This is one of the most recent urban developments in Stockholm although it technically lies just outside the city limits. The proximity to the water and modern apartments built with environment and sustainability in mind, is worth a visit in itself.